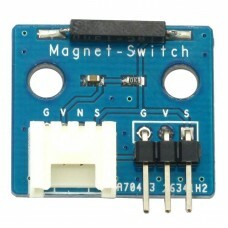 The Magnetic Sensor (Switch) Module allows you to detect the presence of a magnet via a digital input on your microcontroller. 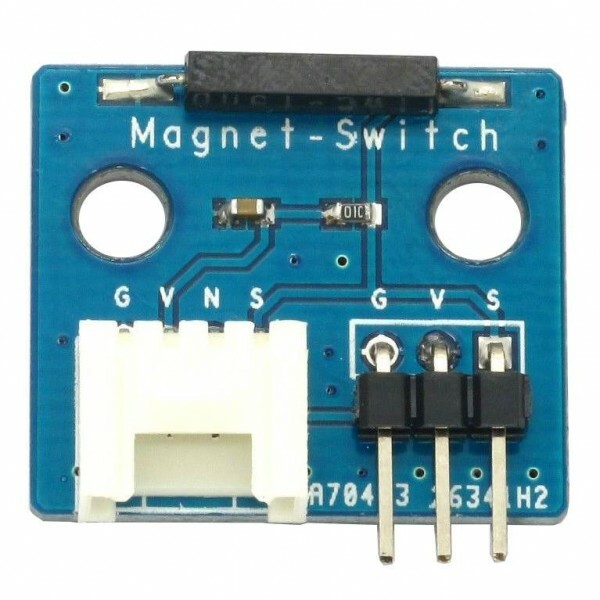 Connect the ground (G) and voltage (V) pins to a 3-5V power supply and the signal output (S) pin to a digital input on your microcontroller. The signal output (S) pin will be LOW when a magnetic object is detected, otherwise it will be HIGH.